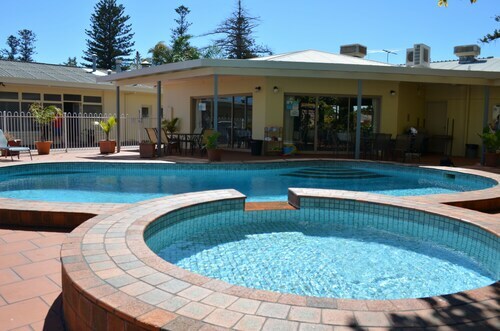 Situated in Glenelg North, this motel is within a 10-minute walk of Holdfast Marina and Glenelg Beach. West Beach is 1.4 mi (2.2 km) away. 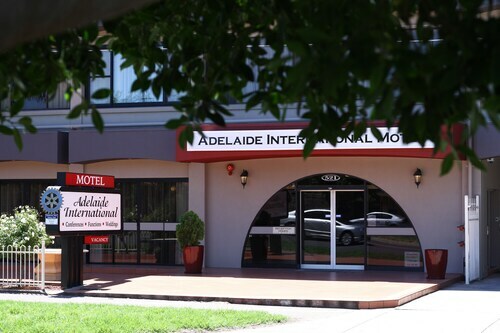 Situated near the airport, this motel is within 1 mi (2 km) of Jetty Road and Glenelg Beach. West Beach is 1.4 mi (2.2 km) away. Situated near the beach, this motel is within a 10-minute walk of Holdfast Marina and Glenelg Beach. West Beach is 1.5 mi (2.4 km) away. Situated near the airport, this motel is within 1 mi (2 km) of Holdfast Marina, The Beachhouse, and Glenelg Jetty. Adelaide Central Market and Rundle Mall are also within 9 mi (15 km). Glenelg North, a popular area 9 kilometres southwest of the city centre of South Australia's state capital, Adelaide, should be seen while you are in town. Anybody hoping for a jam-packed holiday in Adelaide will be excited by all its sights, like the Victoria Square, Government House and Rundle Mall. Don your smartest golfing outfit and have a shot at Glenelg Golf Club. Want to rest your head not far from this place? Think about the Seawall Apartments and Stamford Grand Adelaide. 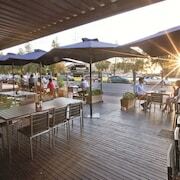 Take time out with your mates at Holdfast Marina and listen to the gentle waves on the waterfront. Consider the Oaks Plaza Pier and Oaks Liberty Towers to be within easy reach of this spot. Does it take you a while to get going in the morning? 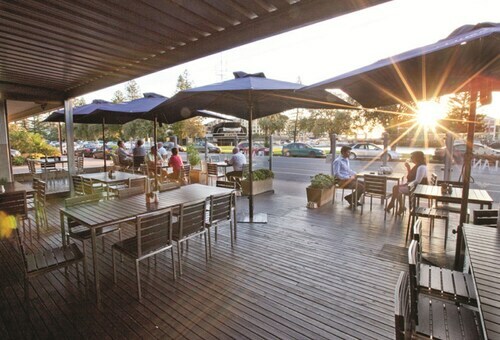 Don't worry, you'll discover a variety of inviting cafes in Glenelg North. An early coffee and pastry at Zest Cafe Gallery is an ideal way to kickstart your day. If coffee and cake simply isn't going to cut it, go and check out the menu at Sammy's on the Marina. There's something for everyone at this popular diner. 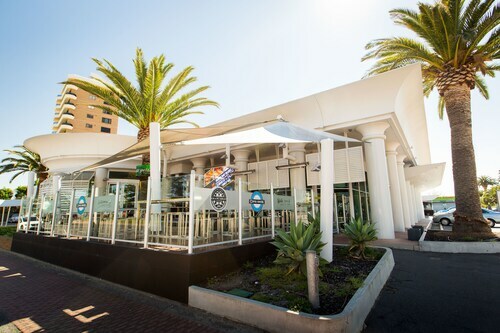 Before walking back to your room, why not swing by Watermark Glenelg for a nightcap? Whether you're a beer or wine drinker, you'll be well looked after here. Don't panic if you can't find the perfect Glenelg North hotel room. You'll find more places to kick your feet up in the Glenelg Beach hotels guide and the Wotif Jetty Road Shopping hotels guide. Glenelg Beach is around a kilometre from Glenelg North and Jetty Road Shopping is a kilometre away from Glenelg North. The world is full of awesome destinations, and Wotif can help you explore them all. So what's holding you back? Stop dreaming and start your Glenelg North vacation now! 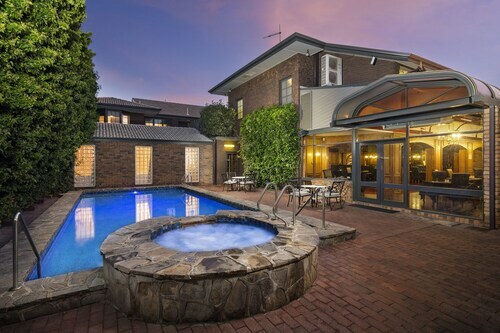 How Much is a Hotel Room in Glenelg North? 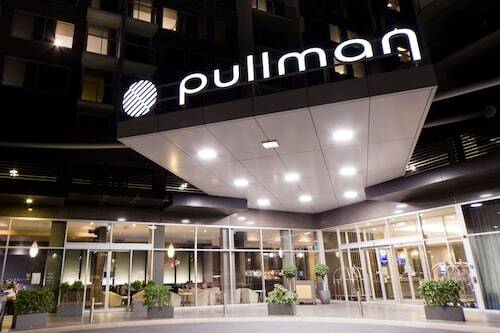 Hotels in Glenelg North start at AU$100 per night. Prices and availability subject to change. Additional terms may apply.